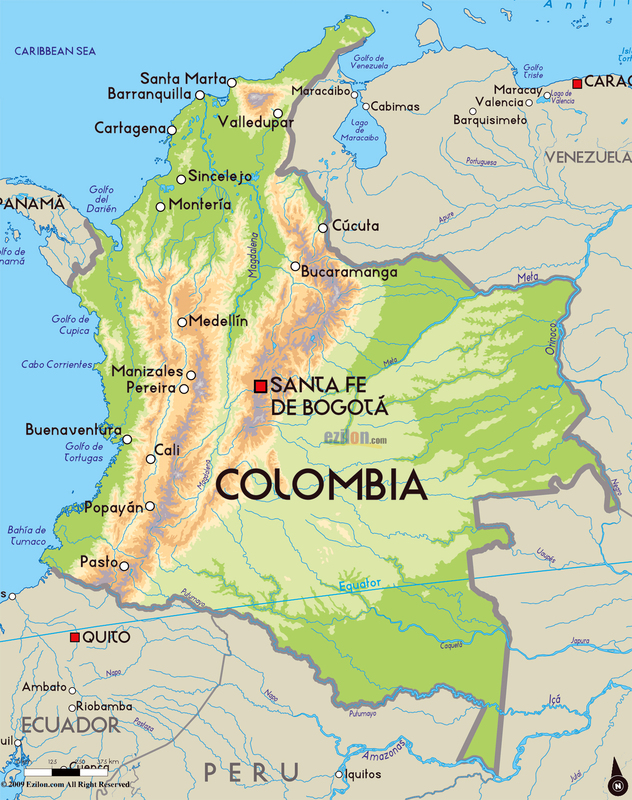 I have been to Colombia twice and I loved it both times, although both visits were very different. The first time I arrive in Cartagena after 6 days at sea and spent only 5 days between Cartagena and Santa Marta. The 2nd time my parents and I did a road trip over 20 days. Despite looking small in comparison to XL neighbour Brasil; Colombia is a vast country and you should definitely consider this before embarking on your adventure. Depending on how long you have, I would recommend considering internal flights for long distances and either buses or renting a car for the harder to access locations. If like us, you chose to travel by land, beware of the rainy season (April – May & October – November). I did’t mind the actual rain, but the heavy rains often result in mud slides and consequential road blocks in mountainous ares. Depending on your cultural background and where you have lived most of your life, this may not be a skill you have mastered, however, in Colombia, like in many other developing countries, sellers pump up the prices, expecting you to negotiate. I must admit I was reluctant to haggle excessively but watching my dad obtain things for up to half the price inspired me to try a little harder. Be mindful of not over doing it of course, it is important that those selling get a fair deal too, but don’t feel guilty for giving it a go. Spending less with one vendor means you can spend the rest with another vendor and spared the riches around. If you are a coffee lover, you must be warned, a art from in the coffee zone, coffee quality throughout the rest of Colombia is disappointing, as most of the good coffee is exported. Patience, you will come across outstanding coffee once you reach the coffee area. It’s worth the wait! I decided to keep this post short so I have not included hotels and restaurants, the internet does a great job at it, but please don’t hesitate to contact me directly if you have any questions. Next Next post: From office to jungle – in 5 steps.